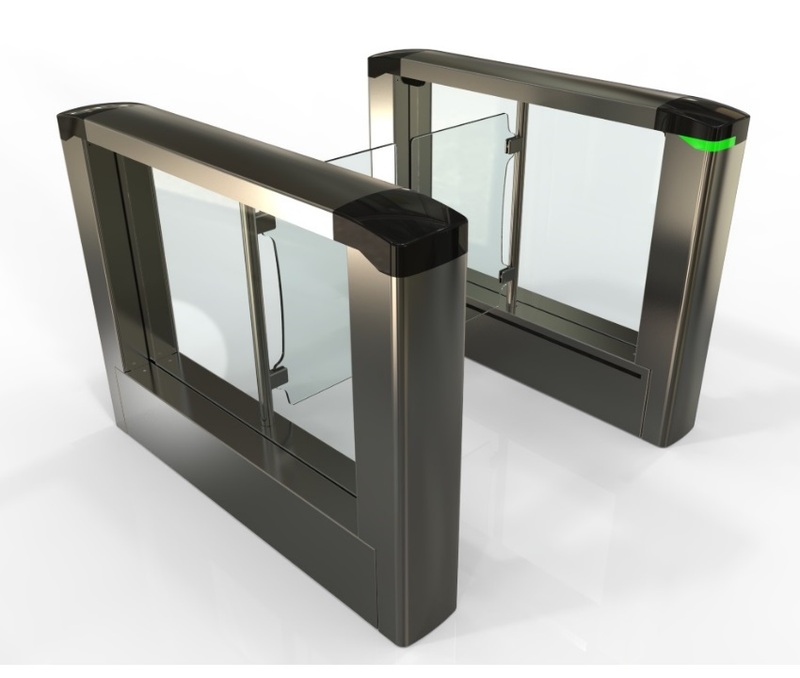 With its clean design, FirstLane security turnstile blends perfectley with any type of entrance – whether classical or modern. The clear 10mm thick tempered glass obstacles have a friendly appearance, while the smooth lines of the brushed stainless steel housing are graceful and refined. User-friendly, modern function pictograms help users to interact intuitively with the system. Intuitive and very easy to operate, FirstLane security turnstile guarantees high-level security without compromising user safety. It is designed to prevent finger entrapment and other impacts. Moreover, the reinforced detection enhances user protection and manages passage of children and luggages.